Best lens in terms of fov and zoom. There's almost no zoom and a balanced fov to preduct better the distances to objects. Love the extra view I get from this lens. So much better then the one that comes on it. i can finally see to land! i bought this to replace the 90 degree stock lens that came with the swift. i had a hard time landing with a high tilt angle cause i couldnt see the ground. now i can! Fits nicely on the PZ0420M 2.8, providing a much larger fov and slightly clearer image. Mine also came with a continuous thread. Be aware though, that this lens comes without a fastening ring. You should be able to re-use the ring from your current lens though. A well built lens with good quality optics. Perhaps a bit on the heavy side if you are trying to shed every extra gram. Unlike the previous review, mine has a continuous thread so I had no problem fitting it to my swift. Realy nice flight feeling and price-performance ratio ! Very good lense, but the product needs an improvement (which will give it 5 stars) - on the photo of the product you can see the thread goes all the way to the lense, but in reality it is not like that- for some reason there is space without thread: so it goes like (lense)thread/no thread/thread. Basically the shaft is not threaded all the way, like is shown on the photo. 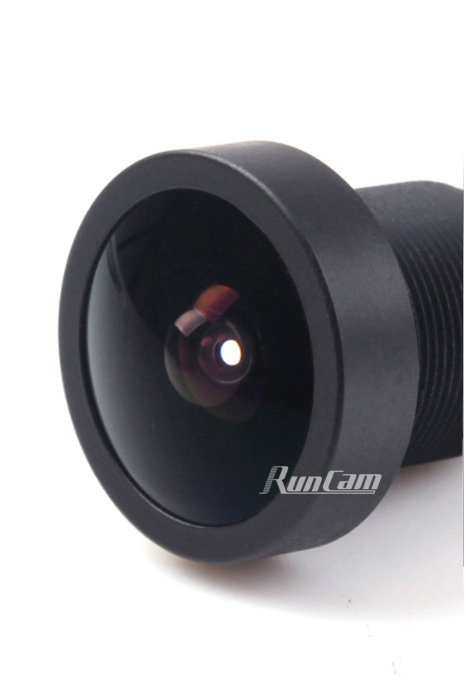 I bought the lense for runcam swift, but to adjust the focus I needed to place 2 rings (which are also not included), because focus distance was exactly where there was no thread on the shaft. Otherwise very good buy. Thanks. Definitily worth the money! Great wide view, perfect for FPV.